Our Center provides safe medical treatment for women seeking an elective abortion in keeping with the following standards. Florida State law allows same day procedures. Married women do not need their husband’s consent. Parental notification, either by telephone or certified letter, is required if the patient is under the age of 18 (except if you are married or have a child already). If you are unable to tell your parent or guardian about your decision, you can ask for a court order so you do not have to tell. For information that helps teens know their rights, please contact our office. All information is confidential so that your privacy may be respected. You can schedule your private abortion appointment by calling the office between 9:00 a.m. to 5:00 p.m. Monday through Friday and 8:30 to 12:00 noon on Saturday. Be prepared to give a complete medical history including allergies to medications, serious medical problems and pre-existing conditions, previous operations, current medications and any other information that could be useful in your care. Allow approximately 2-3 hours for your appointment time depending on which day of the week you schedule your appointment for an abortion. Bring your fee in cash, money order and all major credit card. Checks are not accepted. Bring a picture ID. If you are under the age of 18, proper parental notification must be given BEFORE the day of your appointment. Please write down appointment date, time and directions to the Center which is located in Plantation. Fees for an abortion are based on the results of our ultrasound performed at the time of your appointment. Our fees are fair and competitive and include: pregnancy testing, counseling, lab work and examination, sonogram, follow-up visit and birth. There is an additional charge for Rhogam for Rh Negative blood type. Discounts for students and Medicaid patients are available. Each woman receives individual counseling services, which are provided on the day of your appointment to discuss the abortion procedure, risks and complications, birth control and follow-up care. If you have questions regarding alternatives to abortion, a separate appointment should be made before you schedule an appointment to see the Doctor. A pregnancy test, hematocrit, blood Rh factor and blood pressure, pulse and temperature are routinely performed on the day of your appointment and are included in the total fee. There is an additional fee for RH Negative patients for Rhogam. 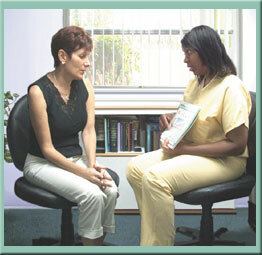 Medical abortions are performed on patient’s that arebetween the 4th and 7th weeks of pregnancy. After an ultrasound has been performed to determine the length of the pregnancy, you will receive your first dose of medication, Mifeprex on Day 1 at the office. A second medication, Misoprostol, will be given to you to take at home within 24-48 hours. Within 24 hours of taking the second dose of medication, you will experience moderate to severe cramping and bleeding; may pass blood clots and tissue, which is an expected part of the procedure. Bleeding can last from several days to several weeks. Remember, this medication is basically causing a miscarriage. You must allow yourself time at home for this process to be complete, which means that this is not a procedure for everyone. Two weeks from your initial visit, you must return to the office for an ultrasound to ensure that the abortion is complete. In only 5 to 8 women out of 100, this method will not completely terminate the pregnancy and a surgical abortion must be done.